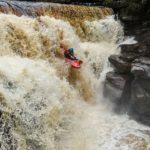 DBP Video Competition 2017 Winners | DBP MAGAZINE ONLINE The World's Best Free Whitewater Publication. For this part of the competition the videos were looked over by a panel of media professionals and judged based on the quality of the work. Congratulations to all involved! Congratulations to all of the winners! We’ll be in contact over the next few days with regards to your prizes. Keep a look out for more competitions in the new year!